The Methow Valley Backcountry Horsemen barbecued steaks for the crew. A Washington state Back Country Horsemen trail work party finished five days of trail and bridge maintenance in the Pasayten Wilderness on July 4. 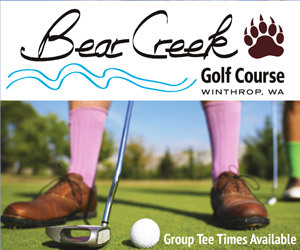 The work party included members of the Washington Trails Association, Pacific Northwest Trails Association, Pacific Crest Trail Association and U.S. Forest Service. 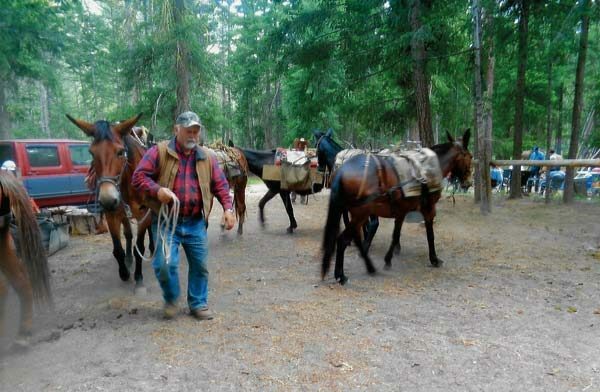 Joining from the Methow Valley chapter of Backcountry Horsemen were Bennet and Cathy Upper. The volunteers came from all over the state. Some brought pack animals to carry supplies and hay to the work sites. Hay was provided by Steve and Jess Darwood of Cascade Outfitters. The workers were staged in several areas. A new bridge was built on the Andrews Creek Trail. The previous bridge was destroyed by fire last year. 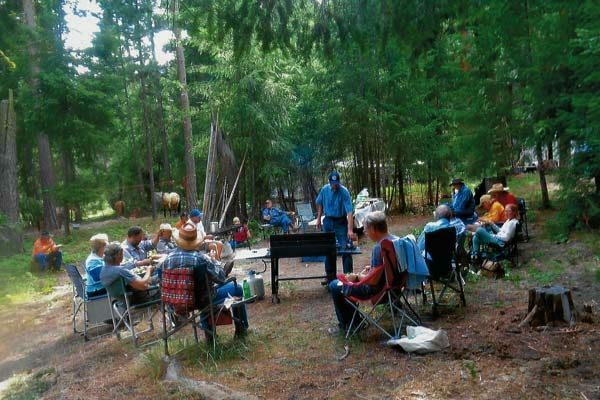 The Methow Valley chapter of Backcountry Horsemen met the volunteers on July 4 with a steak barbecue dinner. The packers who hauled the work crew’s supplies were an integral part of the project.